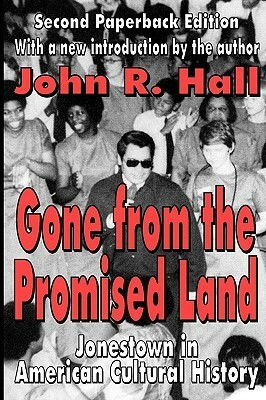 John R. Hall has taken a different angle than many of the books that flooded the market following the Peoples Temple tragedy. Hall argues that Jim Jones and Peoples Temple are both products of the cultural norms of the day. He likens them to other left-leaning organizations, conventional churches, Father Divine and black Pentecostal churches. He looks at factors that contributed to the rise of Peoples Temple as a social movement and a religious organization in the U.S. Hall views Jones as more than just a megalomaniacal charlatan who preyed on the elderly and poor. Somewhere something just went terribly wrong. Hall offers a convincing argument. Peoples Temple did not start out as a cult; at one time it offered its members many needed social services. This book is a very good analysis of Peoples Temple in the context of the culture that surrounded it. Hall questions the motives and tactics of many of those who opposed the People’s Temple. Hall’s book stands out from other books written about this event in the way that he looks at how this tragedy affected American society. He also believes that there are many lessons to be learned from this tragedy. This second edition has a new introduction by the author. This introduction was previously published in the January/February 2004 edition of Society. An extensive bibliography, citations and an index also compliment this book. A really work that places Peoples Temple within the larger cultural forces that surrounded and created it. Also asks the disturbing question: to what extent did Peoples Temple and the Jonestown event reflect America? ya but why did jim jones wear those sunglasses all the time? answer some real questions.